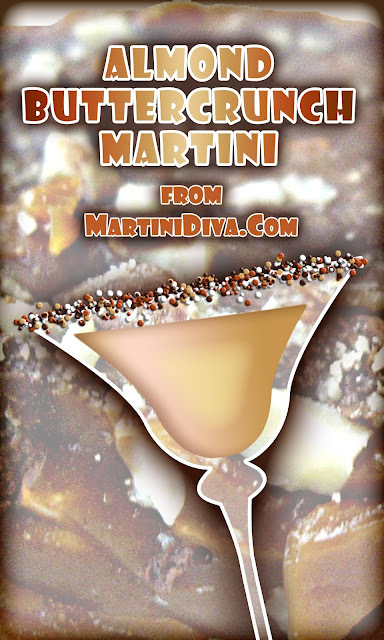 If you're fond of sweet, candy inspired cocktails and like Almond Roca, I have the perfect cocktail for you. All you need now is an excuse* and a few moments at the end of the day to enjoy it. Buttercrunch candy is like toffee but made with less butter and heated to the hard crack candy stage so you get a crunchy texture. The ingredients are butter, sugar, corn syrup, chopped almonds and a chocolate coating. I'm addicted to the stuff so a cocktail recipe was going to happen. 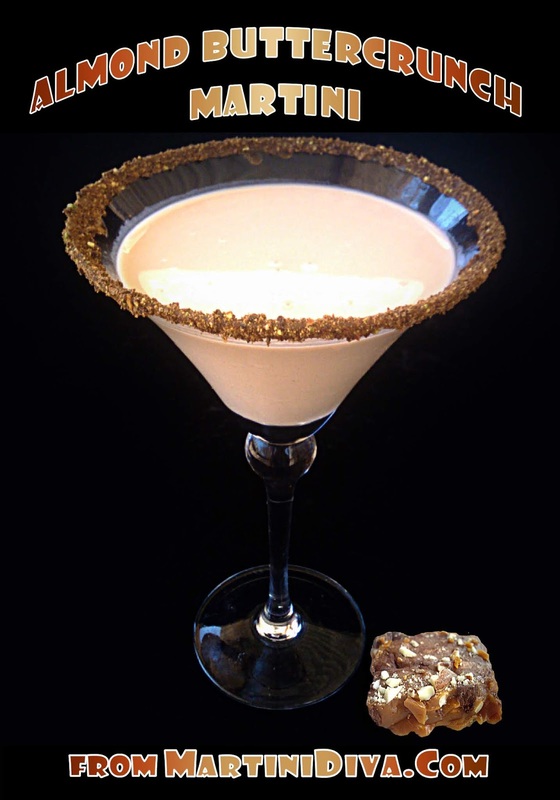 It's rim of your glass into some of the Buttershots liqueur then into the crushed candy. Fill a cocktail shaker with ice, add the ingredients and shake until chilled. 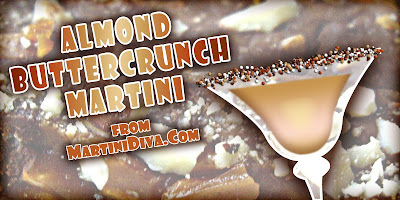 * National Buttercrunch Day is January 20th, National Almond Buttercrunch Day is June 29th.